Big tournament with great prizes coming soon! Pay an admission fee and play for big prizes. In 2019 we are opening the Goldchess Shop with Goldchess gadgets. We start with the sale of our T-shirts. En diciembre estamos abriendo la Tienda Goldchess con gadgets Goldchess. Comenzamos con la venta de nuestras camisetas. *** In Genius Test - May 1, will be an extraordinary game. 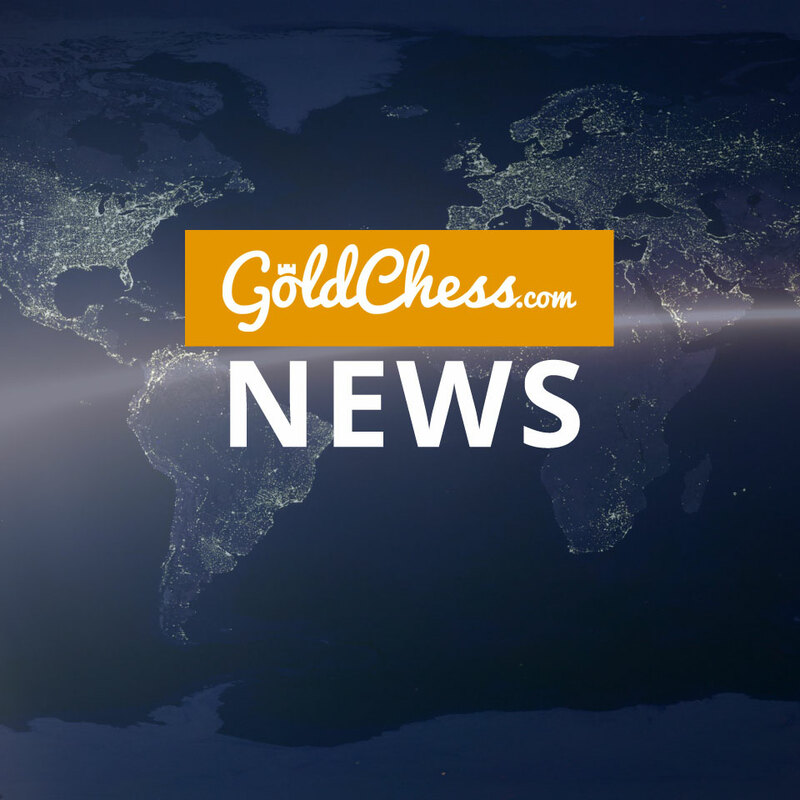 Play in the Goldchess Challenge tournament. Paying the entry fee or free, if you prefer. Check for yourself. If you don’t manage to solve any problem, it means that your chess level is catastrophic. Improve it. 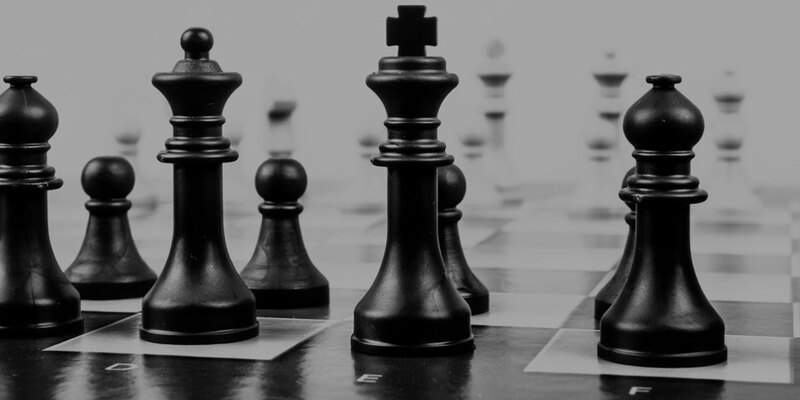 Goldchess provides an opportunity to improve your skills. Take advantage of it. May 1, 16:00 CET - $ 250 prize! Solve & win! Prizes await you in both cases. Play with a real champion! vs Blindfold King - Timur Gareyev! Only with us! March 26! Subscribe to the game and check –Preliminary Results– an hour before it takes place to know whether you play or not. 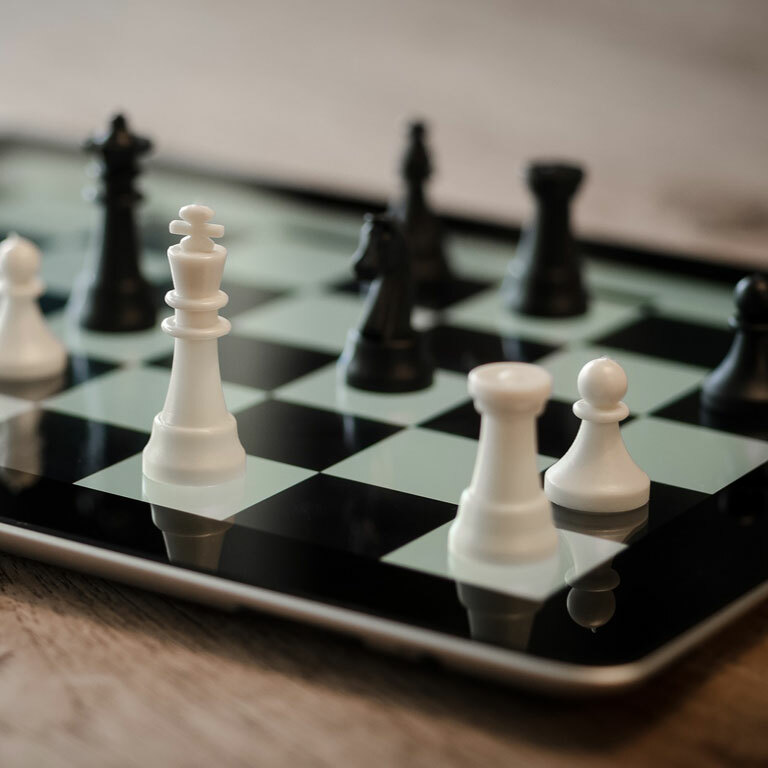 Chess players who play will receive instructions via email. Goldchess Tournaments provide a luxury of playing chess at home. 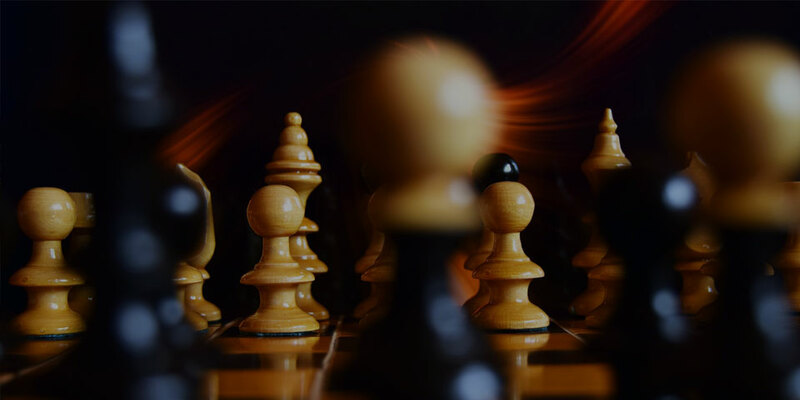 The rival of each participant is our educational chess software CEEC (Chess Elite Educational Computer) and the game starts from a particular indicated position until a victory or a checkmate is achieved according to current instructions given by the Organizer. Register yourself. Next year we plan to host a tournament with millions of participants.There will be bonuses and high rewards - see more. Always wanted to confront the world’s best chess players but never had enough time to travel and take part in chess tournaments? Now you have an opportunity to make it happen. 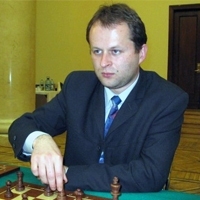 In the Goldchess world you are going to play against top-notch chess players. 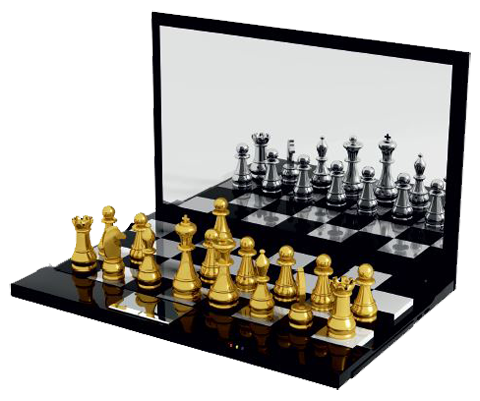 Make your dream come true, play big, feel the high level of chess. Go for it and win! Reach the top! High prizes and prestigious titles are awaiting you at Goldchess. 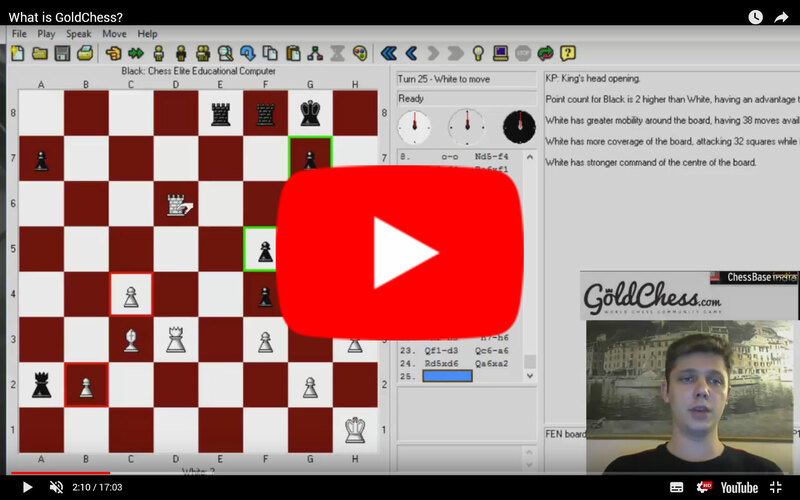 GM Jacek Stopa explains what Goldchess is and how to use it. Just take a few simple steps and become a member of our GoldChess family. when the Tournament starts, download a problem, open it and solve with the use of CEEC. Save your solution in a new file – you will need the original one to complete the solution submission procedure! Only those players who paid the entry fee play for the prizes. *Download - our chess program (CEEC) plus codes for obtaining the full version (in -codes- you have instructions). On the Goldchess website, you play with our educational chess program from the given position. 2. Tournaments - see in -Download-How to play? To win one of the main prizes in Millionaire tournament, you must learn to win with CEEC. Play and train from today.